In the previous part we’ve created an AppStack. Now it’s time to provision the AppStack to the provisioning machine. Before we do this, I want to explain something about this machine and the best practices I use. An provisioning machine is a virtual machine used to provision AppStacks. Once an AppStack is provisioned you are able to capture the desired applications and complete the provisioning process. 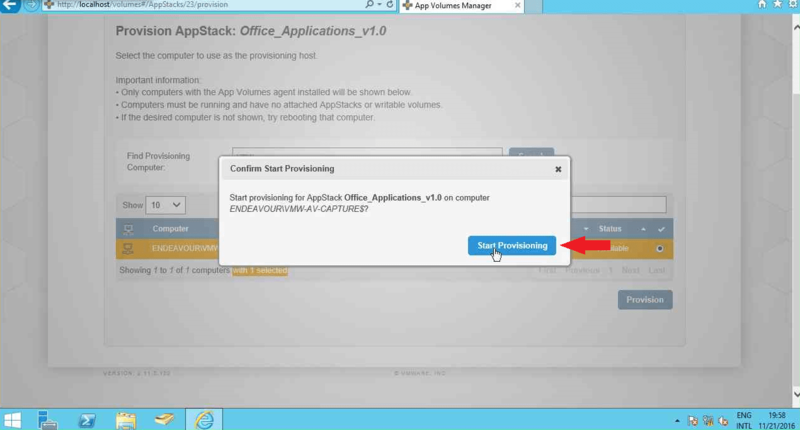 If you are familiar with application virtualization like VMware ThinApp or Microsoft App-V a lot of this information and best practices can be re-used in order to successfully provision an AppStack. The provisioning machine should be almost identical to the virtual machines deployed to users, ideally from the same master image and domain-joined. Although not strictly required, it is a recommended best practice to use the same specific Windows OS for the provisioning machine that an AppStack will be attached to. For example, use a Windows 10 provisioning machine for AppStacks that will be attached to Windows 10 desktops. To prove that AppStacks created and attached to different Operating Systems work, I’ve installed my provisioning machine with Windows Server 2012 R2 and installed my client machine with Windows 10. Also, don’t forget to create a snapshot of the clean state! When the machine is ready and the snapshot is taken, it’s time to start provisioning. 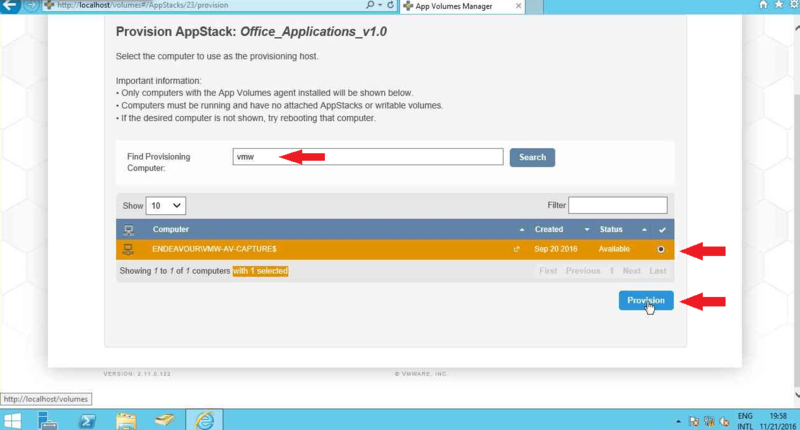 In the VMware App Volumes Manager click the + sign the expand the AppStack and click Provision. Note: The provisioning machine needs to be turned on before you start the provisioning. 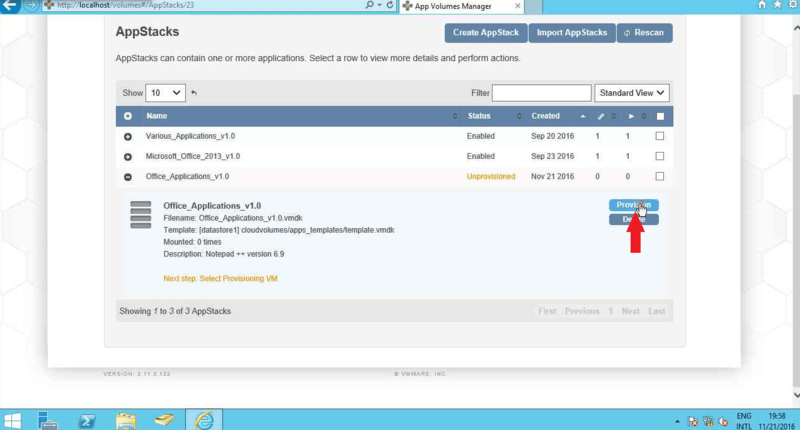 Otherwise the machine is greyed out for provisioning in the App Volumes Manager. Continue here to learn more about process of app capturing.